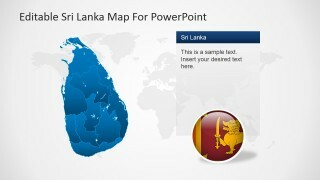 Editable Sri Lanka PowerPoint Map – Deliver an impressive and informative presentation about this beautiful country through the Editable Sri Lanka Map For PowerPoint. 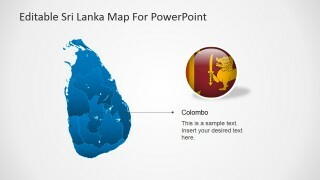 This template will bring out the exciting facets of this tropical country. 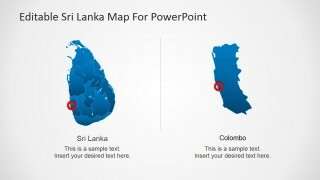 Highlighting all the unique beauty of endless beaches in Sri Lanka will surely have tour packages sold out after your presentation. The Editable Sri Lanka PowerPoint Map is great for introducing Sri Lanka to any type of audience. Its design looks professional yet engaging. 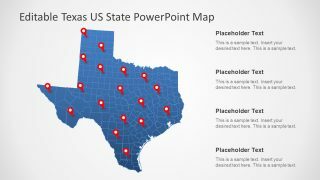 It’s perfect for both business and holiday tour presentations. 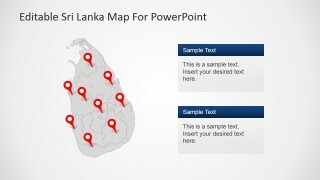 You can create an educational presentation for business entities conducting investment plans for Sri Lanka. 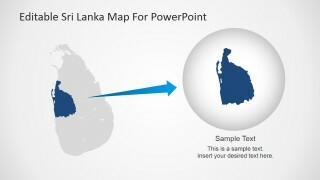 The tropical resources of Sri Lanka hold a big potential for foreign ventures. 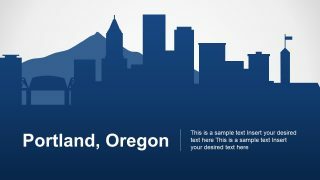 The location is relatively new to a lot of investors. This makes the country ideally have less investment competition as compared to other Asian countries. 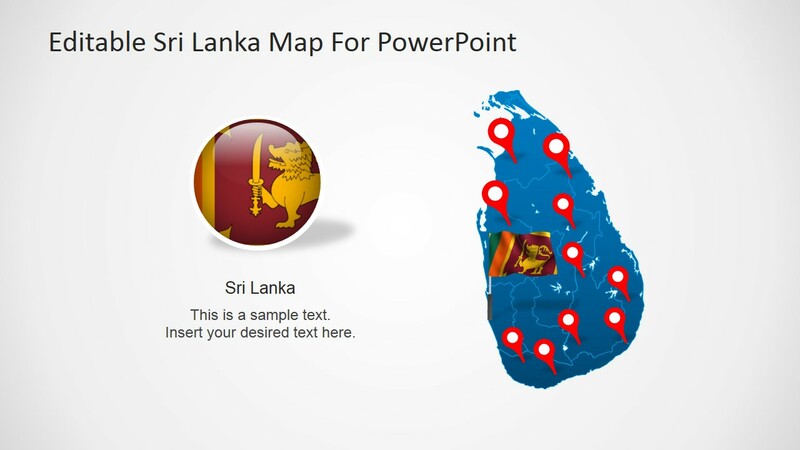 Aside from this, Sri Lanka has a lot more business advantages that you can highlight in this template. 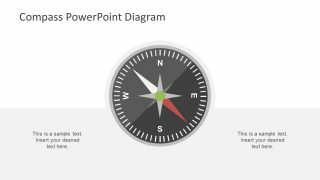 This design is also great for package tour presentations. 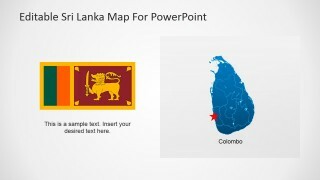 It has 8 slides where you can introduce its historical backgrounds, government, culture, climate and amazing places. 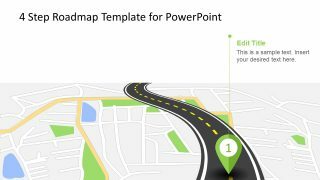 You can also use this template to give an overview of what tourists can expect in the cities that are included in the package tour. It is also important to give guidelines when visiting any foreign lands. Examples for this are briefly enumerating their traditional way of greeting, things to avoid saying and the meanings of their customary gestures, if any. One of the most important things to include in your tour presentation is the available food in the region. You wouldn’t want your clients to be too surprised or starve in case their food preference will not be available in the country. It’s important that they know what they will or will not be eating once they arrive so they could at least look for alternatives. 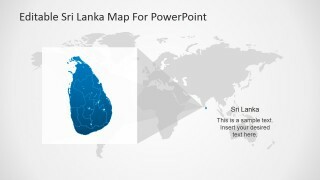 Sri Lanka is located in the Asian continent, The Democratic Socialist Republic of Sri Lanka has maritime border with India at the North.